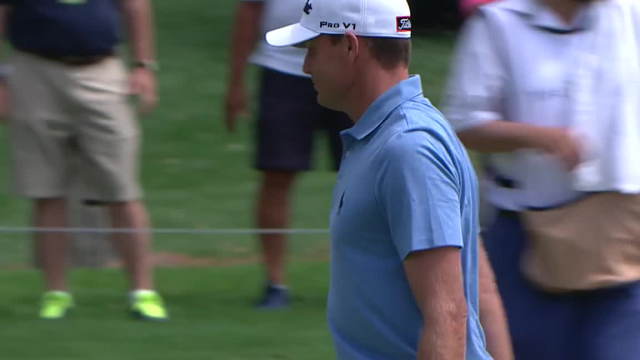 In the third round of THE NORTHERN TRUST 2018, Nick Watney hits his 90-yard approach inside 10 feet of the cup at the par-4 1st hole. In the third round of the Memorial Tournament presented by Nationwide 2018, Nick Watney holes a 47-foot bunker shot for birdie on the par-3 12th hole. In the third round of the 2018 Wells Fargo Championship, Jason Day cards a 10-under 67 to take the sole lead over Nick Watney and Peter Uihlein. Following an opening-round 68, Nick Watney reflects on his play in the 2018 Valspar Championship with Jane Crafter from PGA TOUR Radio.